The perfect gift for Mom. 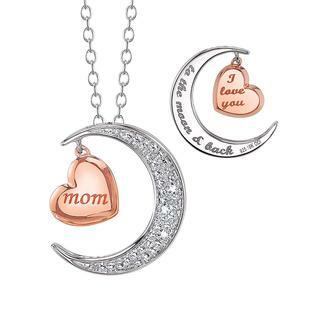 This sterling silver moon and heart pendant has a rose plated heart with "Mom" inscribed on the front and "I love you" on the back. The moon, with approximately .01cttw, has "to the moon and back" inscribed on the back. An 18" sterling silver chain is included.